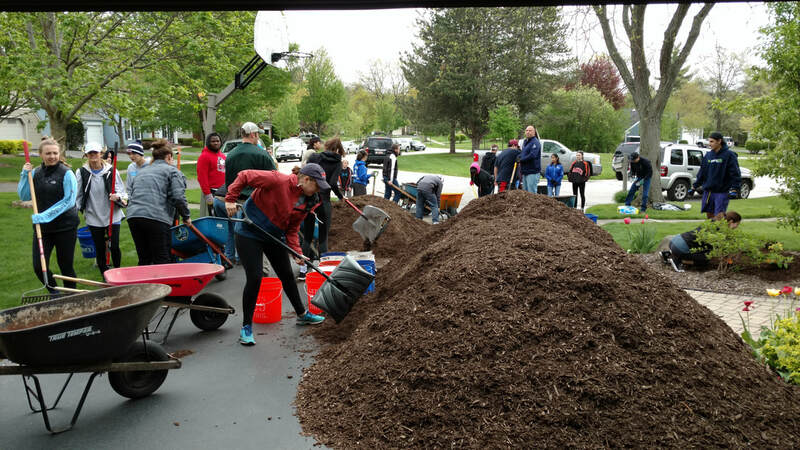 Here’s what I love about this fundraiser: no one is going to spend $250+ on mulch who doesn’t want mulch. Unlike a candy sale or saver card sale you don’t need to feel like you are convincing people to buy something they might not really want. If someone wants mulch (many people do!) they’ll get a decent price while helping you afford camp at the same time. Plus the returns on your efforts are unbeatable! It really is a win-win. Just print the flyers, cut them in half, print your name on them, then pass out to neighbors and friends! So…How Much Money Will I Make? Last year people made an average of $160 selling mulch (some made much more), and about $80/Saturday spreading mulch. If you sell some mulch and come to 3 out of 5 mulch spreading days you could easily earn $400-$500 toward camp, or much more! How do I sell mulch? Ask friends parents, neighbors, coaches, teachers, your parents’ coworkers... anyone that lives in the tri-cities. You can go door to door, make calls, ask in person, post on social media, or even have your parents send emails. When people want to order, tell them to go to our mulch website (www.younglifemulch.com) and enter their info. Make sure they enter your name too so you get credit for the sale. It's that simple! What kind of mulch is it? All natural, double-processed brown hardwood mulch. What is the cost? $35/cubic yard or $60/yard installed. The minimum order is 4 yards. There is a $50 delivery fee per order. Young Life Kane County – 210 West River Dr. - St Charles, IL 60174. Delivery will happen on Wednesday, Thursday, Friday, or Saturday depending on our schedule. Someone from Young Life will contact them to confirm their order and delivery/installation date. Work You can earn even more money spreading mulch on the installation dates mentioned above. Mulching normally begins at 9:00am on Saturdays and we typically work until 2-3:00pm. Many students come late or leave early depending on prior commitments. Students earn money based on the number of hours they work. We will provide water bottles and often some type of snack on longer days, but bringing a lunch is always a good idea. Clear your schedule NOW for these work days! You'll earn a lot more here than you will at a minimum wage job! You can earn $ working to spread mulch even if you don’t sell any mulch! We also have a small amount of scholarship funds available for those students who need more assistance. Campers must participate in mulching to qualify. Visit www.kanecounty.younglife.org to fill out the online scholarship application.